What is a Compass Bracket used for? 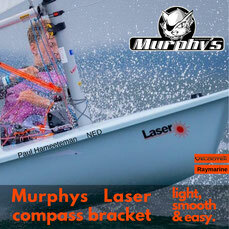 A Murphys Compass Bracket enables you to perfectly mount your compass on your sailboat. The fixture is designed for electronic and tactical compass types. 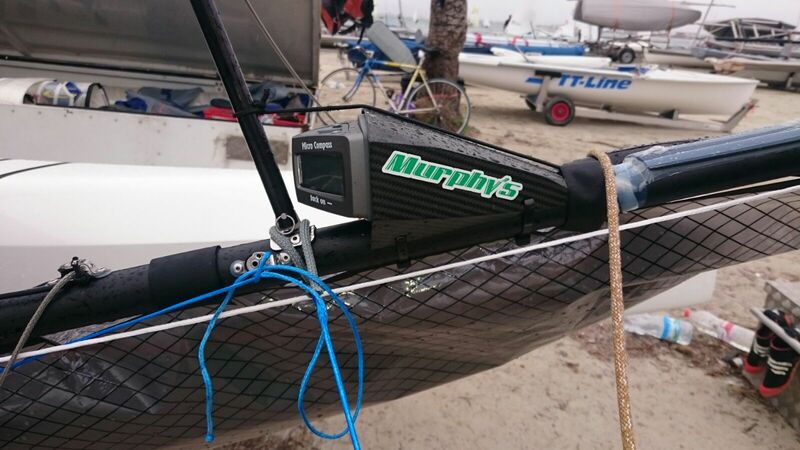 Murphy`s Compass Brackets are placed on sailboats at selected points on the boat and provide sailors with an optimal view of the compass display. The unique design of Murphy`s Compass Brackets makes it extremely aerodynamic (CFD flow optimized) and lightweight. The shape and the appropriate mounting points on boat make it impossible for ropes to get caught in the bracket or the compass. The ingenious solutions of Murphy`s carbon compass mounts allow an assembly and disassembly of the compass in mere seconds. Why are Murphy`s Compass Brackets simply better? Murphy`s products are created with the latest technology, based on the solid construction experience of our engineers, a highly trained team, and up-to-date engineering. Flow simulations (Computational Fluid Dynamics, CFD) determine the subsequent flow behavior of a form design reliably. With sophisticated computer technology, we simulate (as usual in aircraft and motorsports) the load limits of our products. These will be implemented after the completion of the testing and simulation phases in Austria using the "Prepreg" technology . Our top production team does the rest. Fabric prepregs and autoclaves guarantee top performance with minimum weight. We use only high-tech composite materials like carbon, Kevlar or hybrid fabrics of the highest quality (HT carbon fibers High-Tension, HM carbon fiber High-Modulus) and aluminium . These materials are successfully used in aerospace and Formula 1, which gives us an advantage over other manufacturers. 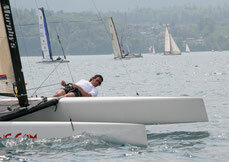 With our performance-oriented products you will always sail at the highest level. Murphy`s Compass Brackets are developed in cooperation with professional international sailors and the results exceed all requirements. Successful professionals won a bronze medal with our outriggers at the Olympic Games in Rio 2016.
using CFD Computational Fluid Dynamics! + No trouble with Sheets thanks to its special shape! With Murphy`s products you will sail faster to success!